Yes, that's a cogent point made here in your reference to the comparative woes of those other 2 systems. In particular, I recall D.C'ers looking down their district noses at our "inferior" transit system. The worm has turned and the collective problems of the WMATA are an unmitigated disaster zone! While we're at it, the track-level station markings at Lindbergh and Oakland City need to be made system-wide. No more of those ugly orange-background-white-text labels on the Red and Gold lines. Actually, that's a full-scale signage upgrade, and it is progressing (albeit slowly). For example, while the Lenox platform still has the old signage, the station entrance and mezzanine on the Lenox Square side have had most of their signs replaced. I have noticed that a few of the stations have newer station pylons, which announce what station it is just outside the station, in larger fonts. I think they look better. Saw the ones at Peachtree Center got upgraded. The sad truth is that this isn't limited to transit. The American Society of Civil Engineers estimates that some $3.6 trillion would have been needed to be invested between 2013 and 2020 to bring the nation's infrastructure to a position of good repair, let alone expanded to meet new demands. I'm not sure i'd call the 50/50 split good, since it simultaneously limited funds for maintenance/capitol upgrades as much as it secured it, but we are in a much better position than WMATA. We aren't suffocating people in our tunnels, and are actually renovating the tunnel ventilation right now. There really shouldn't be a debate over expand or maintain, and there should never come a time when maintenance takes the back-burner. Reality says otherwise, of course. Here's one at Five Points. I also really like that phoenix art on the station itself. 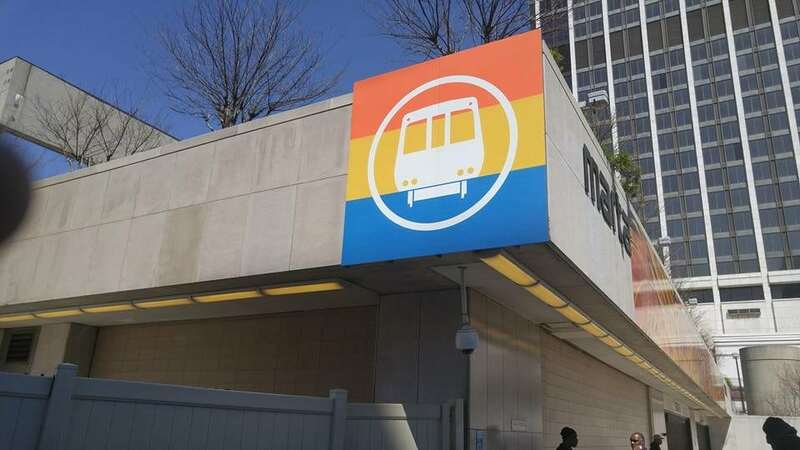 Besides keeping the base fare at $2.50, next year’s spending plan would provide Wi-Fi service on MARTA buses and at the system’s rail stations. The budget also calls for purchasing new buses. Nice, so I guess they're done testing then? It'll be nice to see all that roll out, especially in the underground stations where there's no cell reception or mobile data. The MARTA Makeover for Five Points and Garnett stations is in progress! 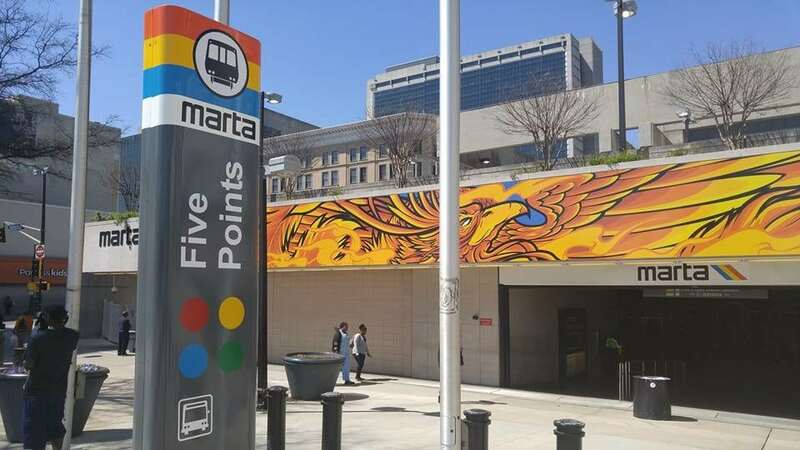 MARTA and Central Atlanta Progress have partnered to implement our short-term recommendations, including new wayfinding signage and a mural at Five Points station. More enhancements at both stations to come!